The Western North Carolina AIDS Project (WNCAP) is dedicated to preventing new cases of HIV/AIDS and promoting self-sufficiency in people living with HIV. WNCAP provides HIV-related client support, prevention, education and advocacy activities guided by the belief that all people are entitled to equal access to health care. WNCAP formally organized in 1986 in response to the needs of the community in the early years of the AIDS epidemic. The founders had been helping provide food, comfort and care to people living with HIV for several years prior to the creation of the official nonprofit organization. Initially, WNCAP focused on people living in Buncombe County, but increased its scope in response to the epidemic. In the 1990s, WNCAP developed prevention programming and a case management program. Gradually, its service area expanded to include 18 counties in Western North Carolina: Cleveland, Avery, Mitchell, Yancey, McDowell, Rutherford, Polk, Henderson, Buncombe, Madison, Haywood, Transylvania, Jackson, Swain, Macon, Graham, Clay, and Cherokee. We love connecting with members of our community! If you have any questions, comments or concerns and you believe WNCAP can be of service, please reach out. 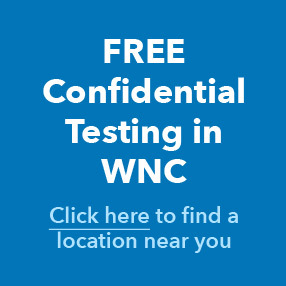 The best way to find an answer fast is to call our Asheville office at (828) 252-7489 or email info@wncap.org. Feel free to stop by any of our physical locations. We are open Monday through Friday, 9am-5pm.